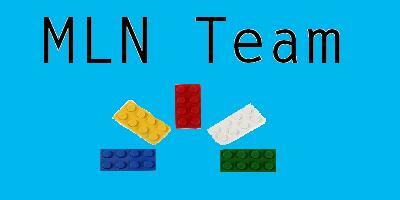 If you got to make a module idea for MLN, what would you make? I would make one that allowed you to choose whatever kind of brick you wanted to grow, and depending on what brick you chose, you would get more or less bricks and it would take more or less clicks per brick and the limit would change as well. But it would grow more the most modules, like 5 grey bricks a day, 200 red, 20 green, etc. Also, it would display two firends of you're choice on their, and they would reicive the same amount as you when you harvested. It would also send out an item of you're choice when clicked, depending on the item the chance of sending it out would change. You could also pick one for the clicker. It would be called the Customizable BFFs module. It would be part of a after rank 10 thing and it would be really hard to get, and take a lot of stuff to build, some from each rank. I actually would some kind of module like the old club page modules. Where you could play tic-tac-toe and see the latest post of that user on the LMB's. I also want something that grows gypsums and pipes, that should be easier for almost everyone. Lego just needs to make the modules that are green,purple, transparent, white,grey,black. Those mods would come with the lego magazines badge rank 2.